Free mobile tracking is becoming more and more popular as the years go by. Let’s face it; it doesn’t matter whether we’re 5-years-old and in school or 80-years-old and living in a nursing home, we all have access to smartphones. As a parent, it’s important that you pay attention to the mobile phone tracking for freeopportunities that are presenting themselves to you. If your children are out and about, playing in the street, the city, or the local park, how can you be sure that they are exactly where you think they are? Of course, you need to give your children the independence they need while they’re growing up, so they’ll have the necessary life skills in later life, but the world is a dangerous place, and if you can stop and prevent something bad from happening, why wouldn’t you? Today, we’re going to draw our attention over to Spyzie, one of the most complete and comprehensive mobile tracking apps available in 2018, earning our recognition as one of the best free mobile tracking apps out there today. There are plenty of reasons why you would want to introduce mobile tracking into the life of your family. Perhaps your child is playing with their friends after school or attending an after-school activity. Maybe they have gone away with the school on a field trip, or you’re taking your children out for a day out? Wherever you are and whatever you’re doing, it’s not always possible to keep both eyes on your children, which can sometimes lead to them walking off without telling you, or worse. While this may sound like we’re trying to scare you, you only have to look at the news to know that a parent’s worst nightmare can come true when it’s least expected, and there’s no harm when it comes to being prepared and organised when your child’s life is on the line. This is where FamiSafe comes into play. This powerful mobile tracking application is easy to set up and install onto both iOS and Android devices and provides a ton of features you’ll need. Firstly, and most importantly, is the GPS location tracking feature. 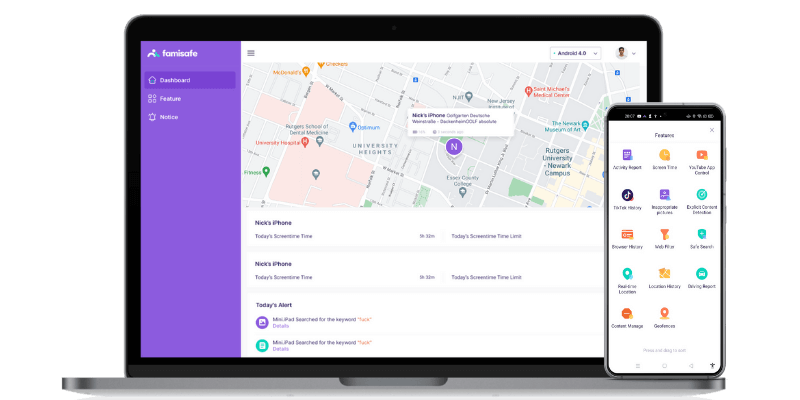 After the installation process is complete, you’ll be able to open your dashboard to see exactly where your child’s mobile device is located on a map design that resembles the easy-to-read Google Maps design. You can see all this information in real-time, meaning it’s easy for you to see when your child is leaving the house, or where they’re going while they’re out and about. However, the free mobile tracking online features don’t stop here. You can also set up custom geofencing locations where you set up boundaries on the map where you want them to be. If a boundary is passed by your child, you’ll receive a text message and notification letting you know that they have done so. Furthermore, FamiSafe does a whole lot more than just free mobile tracking online. 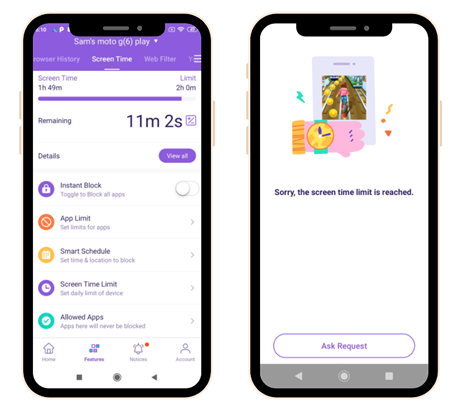 You’ll be able to use the integrated free mobile tracking scheduling restrictions to help your child stay off their device if they’re studying or when it’s time to go to bed. 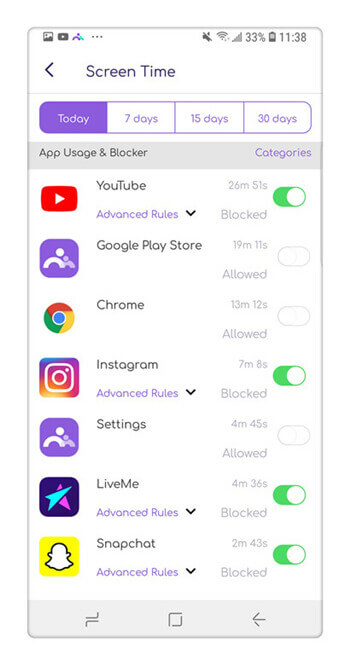 You can block individual apps, or all of them in one go, helping them to concentrate fully at all times. You can even be proactive in simply blocking internet connectivity remotely and directly from your FamiSafe dashboard, helping you to stay in control when it comes to your children using their smartphones, which ensures they stay healthy and happy throughout their life. Of course, there’s no point in knowing about all these powerful mobile phone tracking for free features if you’re unable to use them. Here, we’re going to detail a comprehensive guide on how to setup and use the free mobile tracking FamiSafe software yourself, ensuring that you have the best, most painless experience possible. 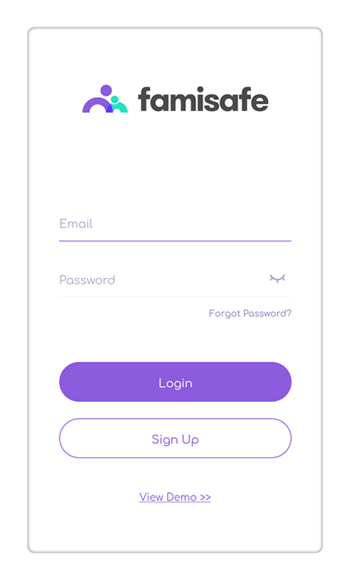 Step 4: FamiSafe is the most reliable reliable parental control app for location tracking, app blocking, web filtering, screen time control and more. Once everything has been installed, you’ll be able to start using FamiSafe for free mobile tracking online and to access the other available features. You can start your free mobile tracking now! This will take you to your control panel where you’ll be able to navigate all the features, no matter where you are in the world. While there are plenty of free mobile tracking online apps out there this year, FamiSafe remains the best thanks to its ease of use, powerful features, and outstanding customer and user experience. It’s also worth remembering that parents are able to get access to the free trial period now, so you can see easier than before whether FamiSafe is the solution you’ve been looking for.